Notes: The aqua-shuttle was a type of Federation shuttle stowed aboard the shuttlebay of Constitution-class vessels during the late 2260s. Aqua-shuttles were multipurpose vessels that were designed for traveling through space; through a planetary atmosphere; transporting across water, like a boat; and as well, were submersible, like a submarine. 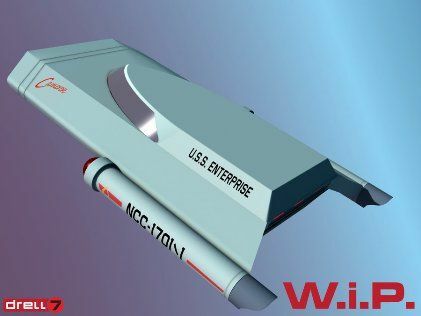 These vessels were also lightly armed with dual forward phaser emitters, as well as an aft emitter.